Dreamville label boss and North Carolina rapper J. Cole’s 4th studio album is released on the 2-year anniversary of his fantastic previous effort 2014 Forest Hills Drive, and comes as a huge surprise. On DJ Khaled’s Major Key album earlier this year, Cole expressed his frustrations with the rap game, feeling dissociated and considering retirement, also declaring at a recent concert that it would be his last show in a very long time. On this album, Cole is at his most introspective yet, crafting a story around the similar narratives he introduced on Khaled’s album with the added twists of his newfound family life after the birth of his daughter. Cole just wants to be left alone, away from his responsibilities as a performer and spend time with his family. Unfortunately, coming from a huge fan of his work, this attitude towards his musical career really shows. Cole is still a great storyteller on this project, one of his greatest strengths, but you can clearly hear how much less he cares about this album. He doesn’t attack the beats as hard as he did before and falls back into tried-and-true formulas of rap music despite the album’s engaging narrative. Once again, after fans beat to death the fact that 2014 Forest Hills Drive went double platinum with no features so much it became a running joke, the album features Cole and Cole alone. The sound certainly deviates from a typical hip-hop album, but not in a creative way – the project is generally very quiet and internal, accommodating its introspective qualities. This is all about Cole’s voice and his story. 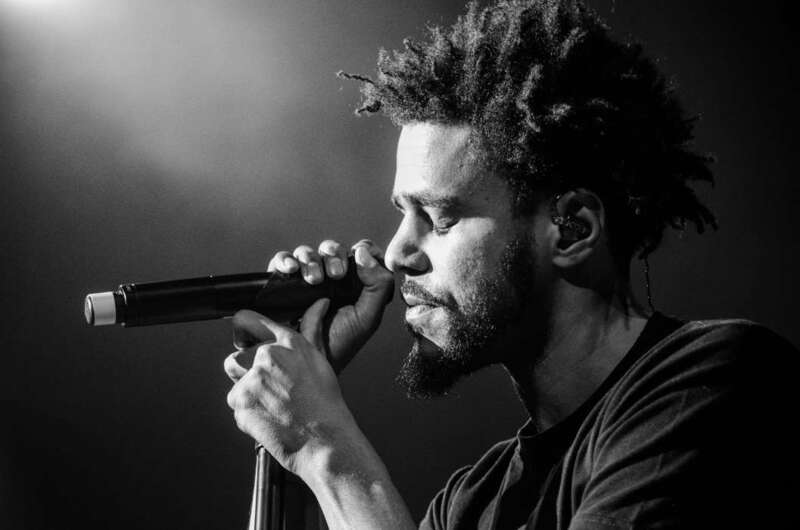 Cole himself produces most of the album with some occasional assistance from lesser-known producers and doesn’t deviate much from his usual style of production, featuring soul samples and somber piano loops, but they’re very basic and meant to bring out the contemplative state of the album and the significance of what Cole is saying. However, for anyone who isn’t one of the diehard Cole fans who truly believe that his lyricism is his strong point and requires a “certain level of intelligence” to appreciate, as the much-maligned YouTube comment goes, it makes for a very boring listen. The story is actually pretty fantastic, and the culmination in the 9-minute closing track “4 Your Eyez Only” makes the whole album clearer and easier to appreciate — although before hearing this at the end some of the references are very confusing and the listener could have been guided through easier than a huge explanation at the end. Cole frames the album as a cassette tape that his friend who was killed instructs him to play for his daughter as a dying wish, speaking from the perspective of his friend for the majority of the album. Cole’s life parallels his friend’s in many ways, beginning in the streets and confused about the direction of his life before falling in love and having a daughter, but where his friend ultimately never made it out of the streets, Cole does and begins the domestic family life he celebrates here. Some tracks certainly stand out, each showing brief glimpses of why Cole was so great before this project. “Neighbours” displays his technical ability, deftly maneuvering through the speedier beat while offering a narrative of how his neighbours assume he is selling drugs after moving to a white neighbourhood. “Change”, an address of Cole’s shifting perspectives as he matures that culminates in his friend’s death being made explicit, shows his storytelling, while “Immortal” is the only track here where Cole sounds truly energized and passionate. Despite Cole’s ambitious intentions, the lack of care he puts into the actual musical content brings the project very far down. To fit in with the very emotional nature of the album, Cole sings a lot more than he usually does. His passionate declarations of love for his wife and daughter on “She’s Mine” parts 1 and 2 would be beautiful and affecting, especially with the cascading string instrumentals, if his vocals weren’t so off-key. I respect what Cole is trying to do with the story, but his delivery often sounds disinterested and phoned in, replicating aspects that succeeded in his previous music and not fulfilling them to the same degree. Single Deja Vu, which debuted in the Billboard top 10 and became Cole’s biggest hit immediately, is a blatant rip-off of Forest Hills track “G.O.M.D.”, complete with the same mockery of unintelligent rap choruses serving as its chorus. Finally, regardless of what many fans say, lyricism has always been Cole’s weakest point, coasting through due to the charm and relatable nature of his stories, and it only gets worse on this project. When the lines are not outright cringeworthy, often disrupting the tone of a song with an immature sexual reference, they are simply lazy. He turns half a chorus into instructions to put fingers in the sky, and yes – inexplicably rhymes “almond milk” with “almond milk”. Even the hooks are often terrible, something like “Ville Mentality” sounding like a melody that was made up on the spot. In “She’s Mine, Pt. 2”, Cole sums up his feelings towards the direction of his life when he says “F*** this album s***, hey mama look what god made”, referring to his newborn daughter. His head is in a different place. People are making fun of Cole at the moment for making a song called “Foldin Clothes” which is actually about folding clothes and feeling like the best version of himself because he’s completing mundane household tasks – and if that’s what he wants to do he should do it. J. Cole, if you ever find your passion for music again, come back and renew this fan’s interest.